After some initial rebuttals or possible confusion, Wirecard has told investors that an external law firm has been investigating alleged accounting manipulations by “a member of Wirecard’s finance team” in its Singapore operations since May 2018. 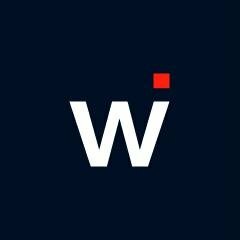 Law firm Rajah & Tann, commissioned by Wirecard to investigate its Singapore office, found evidence indicating “serious offences of forgery and/or of falsification of accounts”, according to a preliminary report on the inquiry seen by the Financial Times (FT). There is a back story here as last week the payment firm’s share price fell 35% after the FT reported that a senior Wirecard executive in 2018 was suspected of using forged and backdated contracts in a string of suspicious transactions that raised questions about the integrity of the accounting at the fintech company. The FT explains that in a call with analysts, Wirecard chief executive Markus Braun called the matter a “non-event”. He stressed that while the external investigation by Rajah & Tann was not officially concluded, “we consider the whole issue as resolved” and he expected it to end soon. He stressed that the company does not “expect any material findings here”. Wirecard had previously called the FT reports “inaccurate, misleading and defamatory”. On 4 February, FinTech Futures contacted Wirecard to get its official view on that FT report and find out what was going on. It told us “we fundamentally contradict the reporting of” that specific FT news report. This week, Singapore police are looking into “the matter”. Munich prosecutors told the FT that they did not see a reason to start a criminal investigation into Wirecard as the potential misconduct did not happen inside Germany’s jurisdiction. Braun expects a final conclusion of the external investigation “in the very near future” and promised analysts that he would provide “full transparency of the results of the investigation”. Wirecard said on 4 February that before commissioning Rajah & Tann, an internal investigation by its own compliance team “found no evidence to support the allegations and concluded that they were unfounded”, adding that it found “indications that the allegations could be related to personal animosity between the employees involved”. Braun added that the company had “substantial doubt about this whistleblower story”.